Could temporary water treatment facilities be the solution? TEMPORARY WATER TREATMENTS plants could be brought it to restore clean drinking water supplies to a village in Galway, a TD has said. Williamstown has been issued a boil water notice set to last two years while work is carried out. However, this is not expected to be completed until the end of 2016. Independent TD Michael Fitzmaurice described the two-year wait as ‘scandalous’. “We definitely need back-up plans for where this sort of thing goes wrong,” he told TheJournal.ie, and said a temporary treatment facility could feasibly be brought in. Last May, former Minister for the Environment Phil Hogan released funding of €412,000 for a temporary water treatment plant in Roscommon to deal with the outbreak of cryptosporidium in the water supply. While the pipeline to Williamstown is planned, Irish Water confirmed it is currently investigating temporary solutions. “All temporary solutions are bespoke and have to be designed, built, tested and validated before they can be implemented,” a statement from the utility said. The statement said that boil water notices are “entirely unacceptable”. “Within 48 hours of a boil water notice being imposed in Williamstown, Irish Water had identified a technical solution,” it added. Fitzmaurice also noted that water could in theory be brought to Williamstown from other neighbouring schemes. “A few heads need to be knocked together”, he said. That is where we need to be. That is the story that Irish Water will be for the next 50 years – to invest and supply and provide a proper scale of clean water. Locals told RTÉ’s Morning Ireland that the supply was ‘perfect for years’, with the first issues only arising in recent months. However, Regional Information Officer for Irish Water Sean Corrigan said the new infrastructure is necessary due to the vulnerable nature of the scheme. “We have to make sure this doesn’t happen again in the particular area,” he told the programme. A meeting is due to take place later this week between Irish Water, local elected representatives, and local stakeholders. 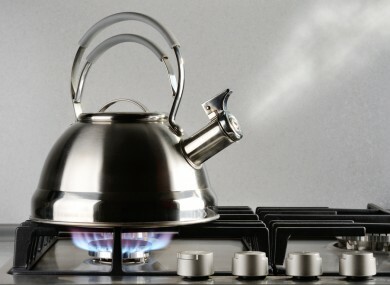 Email “'Heads need to be knocked together' to lift two year boil water notice in Galway”. Feedback on “'Heads need to be knocked together' to lift two year boil water notice in Galway”.